British Prime Minister David Cameron is pressing for military strikes against Islamic State in Syria within a month, according to senior sources. The leader is also reportedly prepared to accept 15,000 refugees from the war-torn nation. 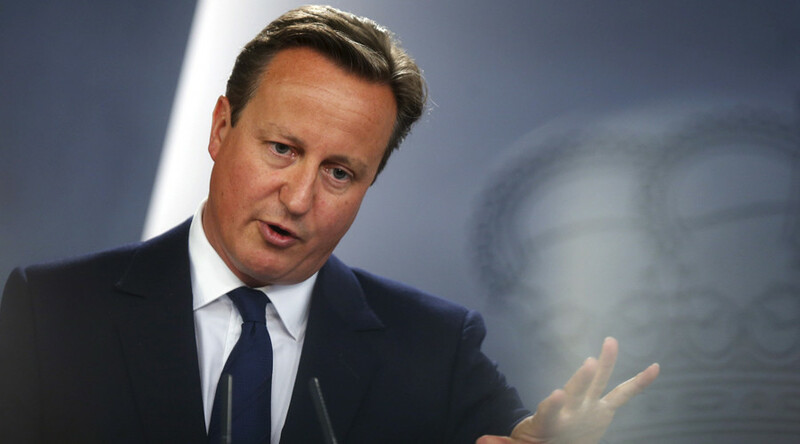 Senior officials told the Sunday Times that Cameron has ordered aides to devise a plan to tackle the migrant crisis. That plan includes persuading Labour MPs to support airstrikes in Syria in a House of Commons vote in October. Chancellor George Osborne seemed to indicate the government is indeed planning military action in Syria. British "political hypocrisy" and the country's interference in Syria's affairs was condemned by Syria's foreign ministry, Syrian Arab News Agency (SANA) reported on Sunday. Damascus has sent two letters to the UN, accusing the British government of "colonialist experience" and supporting terrorist organizations in Syria. Tory whips have reportedly told Cameron that enough Labour MPs may now be prepared to vote for military action, offsetting the 30 Conservative members who oppose it. They believe that if Jeremy Corbyn, who is opposed to military action, wins the Labour leadership next weekend, the party's moderate may be prepared to go against their leader to make a point. Labour voted against airstrikes in Syria two years ago. According to a new YouGov poll, the majority of the public – 52 percent – would support a greater role for UK forces in ending the civil war in Syria. Cameron has also ordered the National Crime Agency and GCHQ to launch a new offensive against people traffickers. The spy agency is gathering information on the gangs’ leadership, and crime agency police are being deployed to the Mediterranean. The plan drawn up by Cameron's government would also include expanding the country's vulnerable persons relocation program. May's comment has been echoed by Andrew Bridgen, a Tory MP for North West Leicestershire, who said that accepting more migrants would encourage others to make the dangerous crossing into Europe. “We are in danger of doing the wrong thing for all the right reasons,” he said. Later on Sunday, Osborne is expected to explain how a “root-and-branch” review of aid spending will divert money to the refugee crisis. The review would mean that future cash would be taken from a fund aimed at combating poverty in Africa. Britain has so far contributed £1billion (US$1.5 billion) to helping those who have fled Syria. MPs will discuss the refugee crisis on Wednesday, in a debate called by the Scottish National Party. More than 350,000 migrants have crossed into the EU so far 2015, in the worst refugee crisis since World War II.